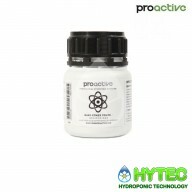 Proactive nutrients, a new UK based company with over 20 years of experience in the indoor horticultural industry. Have formulated a revolutionary new nutrient range and specific regime which consists of every single element vital to plant growth, health and optimum yield. This is a simple 6 part schedule which provides everything your plants require. 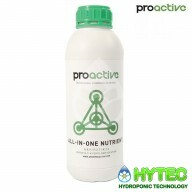 PROACTIVE ALL-IN-ONE NUTRIENT 1LTR Grow & Bloom A&B in one easy to use complete liquid formula 1 Litre The proactive All-In-One Nutrient Methodology... Supplies a unique combination of nitrogen, phosphorus, potassium, magnesium and trace elements essential to the progress of your cr..
Because plain old tap water simply doesn't cut it! 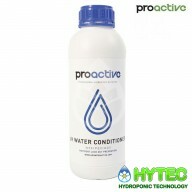 The proactive pH Water Conditioner Methodology... Contains two sequestering agents that will neutralize the cations of hard waters and reduce their impact on your plants. 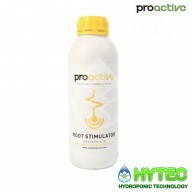 Hard water cations can lock out and prevent the uptake of nutritional el..
PROACTIVE ROOT STIMULATOR 1LTR Cram packed with Amino & Humic Acids and the unique ACRECIACTIV™ Molecule The proactive Root Stimulator Methodology... This well balanced N-P-K fertiliser, containing amino acids, humic acids (200G/L) and the ACRECIACTIV™ Molecule, will dramatically stimul..
PROACTIVE SELF DEFENCE 1LTR Puts your plants on high alert against the first signs of disease The proactive Self Defence Methodology... Acts as a vaccine, putting your plants on high alert against the first signs of disease. 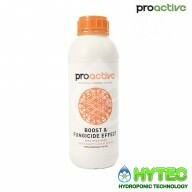 Contributing to the meristematic activity within your plants at a ..
A unique composition designed and developed for commercial horticulture The proactive Boost & Fungicide Effect Methodology... Guarantees high yields and improved crop quality, while preventing and correcting sulphur deficiencies in your crop via a simple foliar application. Proactive Boost..
PROACTIVE NANO POWER POWDER 130G Increases CO2 levels within the leaves and guarantees optimum performance The proactive Nano Power Powder Methodology... A result of our patented manufacturing process which produces nanoparticles of calcite. Proactive Nano Power Powder has a clear effect on..